This morning my wife and I talked about going up to Portland so she could go shopping. Fortunately for me, there’s a golf course less than a half mile from the mall, so I said Sure, you shop and I’ll hit balls. She said, Can you hit balls for two hours, and I said, I can do that. Spending two hours at the range is pretty easy for me. I can spend about 45 minutes hitting a bucket, then the rest of the time around the green. But what about this? I practice for about an hour and a half, then play two holes. Wouldn’t that be great? The first tee, seventh green, eighth tee, and ninth green at this course are all in a line right by the clubhouse. I could go over to the eighth tee, play away, then play back on the ninth hole. A little practice, a little play. What could be better? Except that I can’t do that. There are people playing their round, and you can’t squeeze the odd single in the middle of the groups going nine or eighteen. Then the brainstorm hit me. 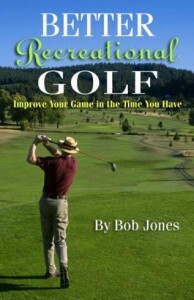 Build a 20-hole golf course. Eighteen holes for play, two holes for practice. After you practice something, you want to try it out. Why not? That validates it, or tells you it works on the range, but not in play, so back to the drawing board. And not even that. We practice to play golf, we don’t just practice golf. So why not cap off a practice session with a few holes? It would make practicing a lot more fun. 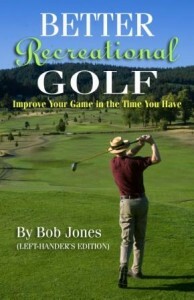 Another reason you would want to have practice holes is that golf is not about hitting shots. It’s a game you play. I don’t know how many times I could have broken 80 if I had thought better about hitting four or five shots. Not hit better shots, but hit the right shot or used the right club. 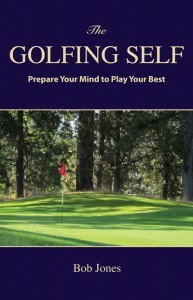 Part of getting better is learning how to play, how to think your way around the course. Why not make that part of your practice? All we have to do now is convince a designer to build two extra holes. I think it would be a big hit. One, it would make a great practice ground, like I said. Two, it would be great for playing lessons. (Have you ever had a playing lesson, by the way? They are the best lessons I have ever had.) Three, if you didn’t have time for nine, you could warm up and play these two. I can’t but imagine those two holes would booked up solid, generate a lot of revenue for the course operators, and get lots of people interested in the game.